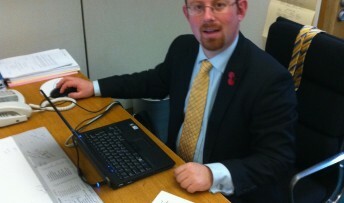 MP Julian Huppert has taken his fight for better funding for postgraduate students to the government. He claims the present system, which means most students have to pay up front for their courses leads to “huge social mobility problems”. Julian called on Universities Minister, David Willetts to act to allow postgraduate students to pay back the cost of their tuition only when they are earning. Julian has proposed extending government loans to graduate students which could be paid back when they are working, similar to the loans offered to undergraduates. And he asked Mr Willetts if he had had the chance to look at the proposals detailed in his policy paper “Developing a future: Policies for science and research” or similar proposals from the Higher Education Commission and the National Union of Students. Julian said later: “Our present system makes it difficult and sometimes impossible for graduates to continue their studies. This is not only hampering the opportunities for our brightest young people but has the potential to harm our economy as a whole.